The [Notre Dame] cathedral, which has a history of more than 850 years, is perhaps one of the most important historical monuments for all of France, said Father Brien McCarthy, a Catholic priest who presides over L'église de la Madeleine, which stands several blocks northwest of the Île de la Cité. To view more images of the fire CLICK HERE. To see drone footage of the damage CLICK HERE. [T]his happens just at the beginning of Holy Week, the most sacred time of year for Christians: Where will the Archbishop gather his priests for Chrism Mass? And finally, why did God allow this? 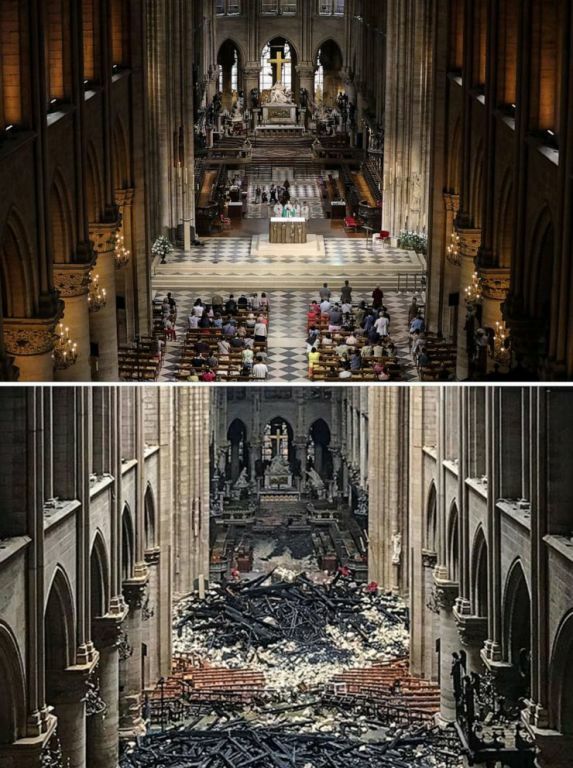 TEXT: "Five Things to Know about the Cathedral of Notre Dame in Paris"
Building was an 182-year process. Rome was not built in a day, and neither was Notre-Dame. Construction of the cathedral began in 1160 and took nearly two centuries. While most work was done by 1260, it was finally completed in 1345. It’s home to many relics. The most famous relic located in Notre-Dame is the crown of thorns believed to have been placed upon Jesus Christ during his scourging. The cathedral also contains a piece of the true cross and one of the nails used in the crucifixion, plus relics of many French saints. Initial reports suggest that the relics were saved from the blaze. It’s not actually owned by the Archdiocese of Paris. Due to France’s laws regarding secularization, the French government owns all churches built before 1905, including Notre-Dame. The government lets the Archdiocese of Paris use the building for free, and will continue to do so in perpetuity. The Archdiocese of Paris is responsible for the upkeep of the church, as well as for paying employees. It is the most-visited site in Europe. With 12 to 13 million visitors annually, Cathedrale Notre-Dame has more visitors than anywhere else in Europe. It has been destroyed before. While Monday’s fire was certainly the most extensive damage ever done to Notre-Dame, this is hardly the first time she has undergone structural trauma. In WWII, nearly all of the glass was broken when Paris was bombed, and Huguenots destroyed icons and statues during the sixteenth century. 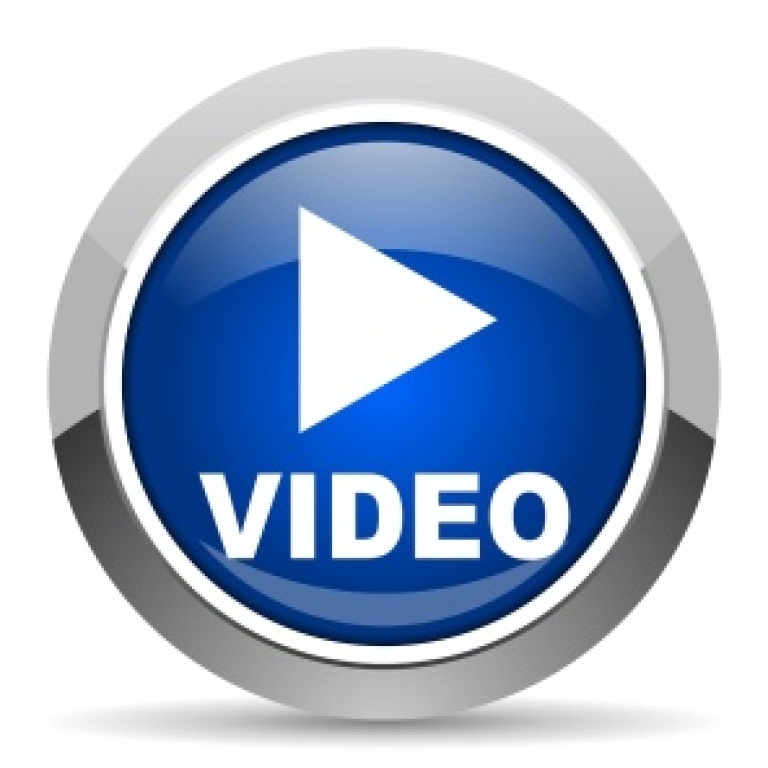 To watch this 31 minute video CLICK HERE. Free access for parishioners. Go to www.formed.org and use the code 82F2DN when you register. This online resource is a treasure-trove of spiritual aids. God, we joyfully commend to Your protection and care all the Candidates and Catechumens who will be received into the Church this night. We pray that they may find a warm welcome in their new parish communities. We pray that they will continue to grow in the faith even as their formal RCIA training is ending. We pray that now that they have started on the path toward a deeper relationship with You, they will have support and help from their fellow Catholics whenever the way becomes rocky, exhausting, or if they become bewildered and lost. May You enrich their prayer life, give them grace to become the loving servant of others, and guide them in the spiritual realities they will now face. May they continue to have the zeal they have at this moment for Your glory. May they use their unique talents to better the Church, and may You grant all the grace of perseverance to the end. We ask this in Jesus’ Name. Amen. Altera septimana (Latin for “until next week”)! BELONG is a weekly informative news service highlighting matters of faith formation from our Catholic parish of St. John the Evangelist, and your Cathedral of the Diocese of Boise.